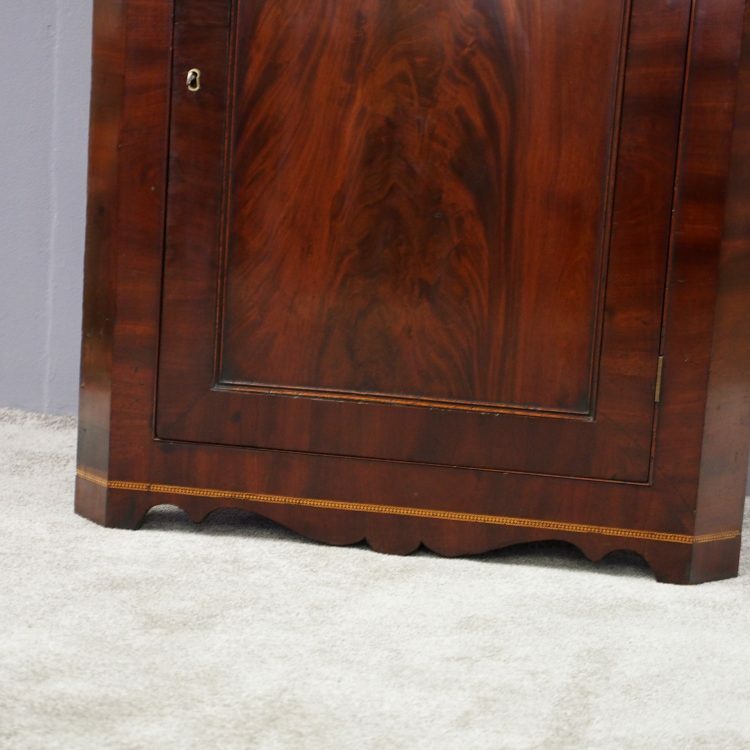 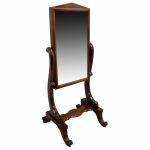 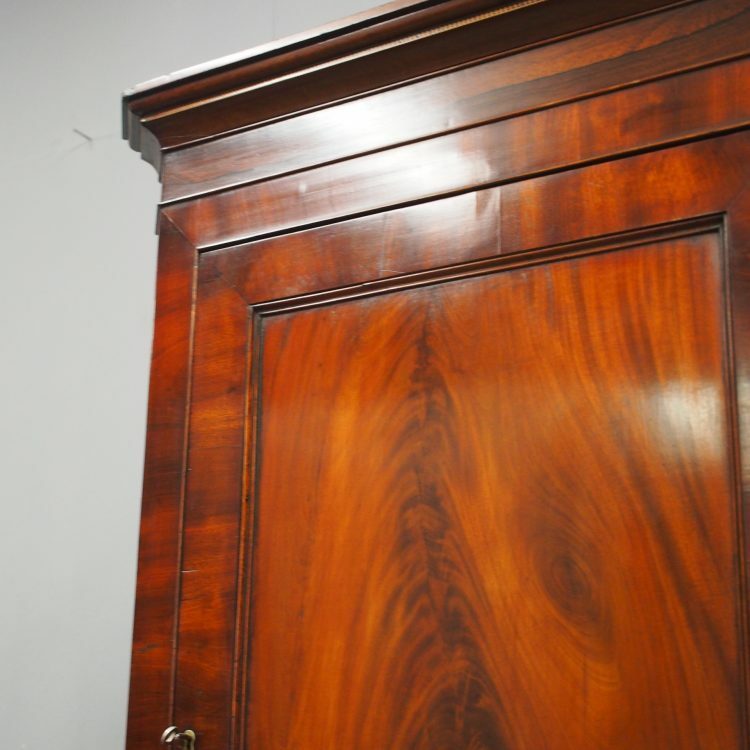 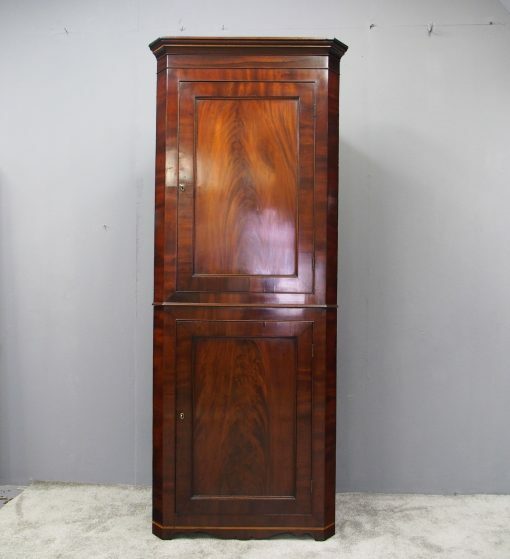 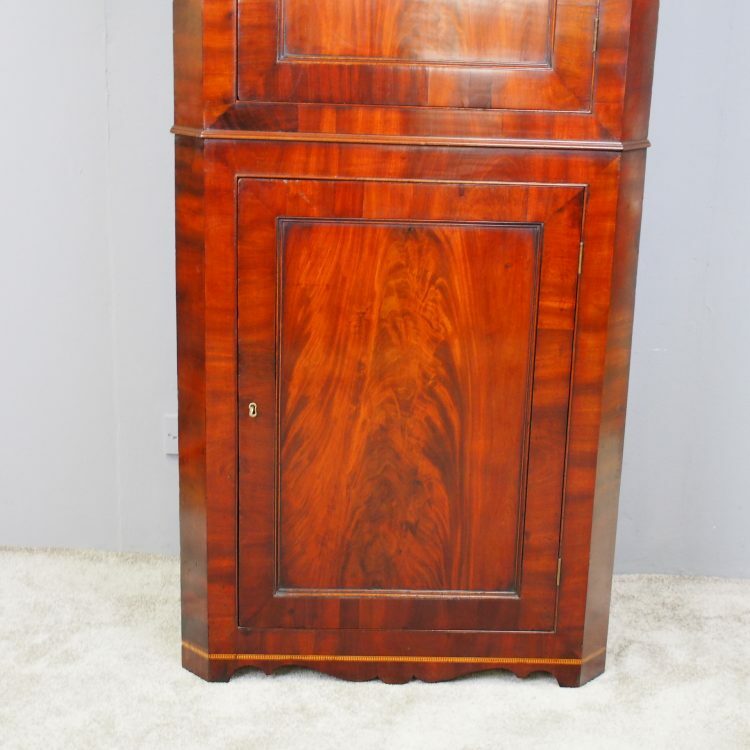 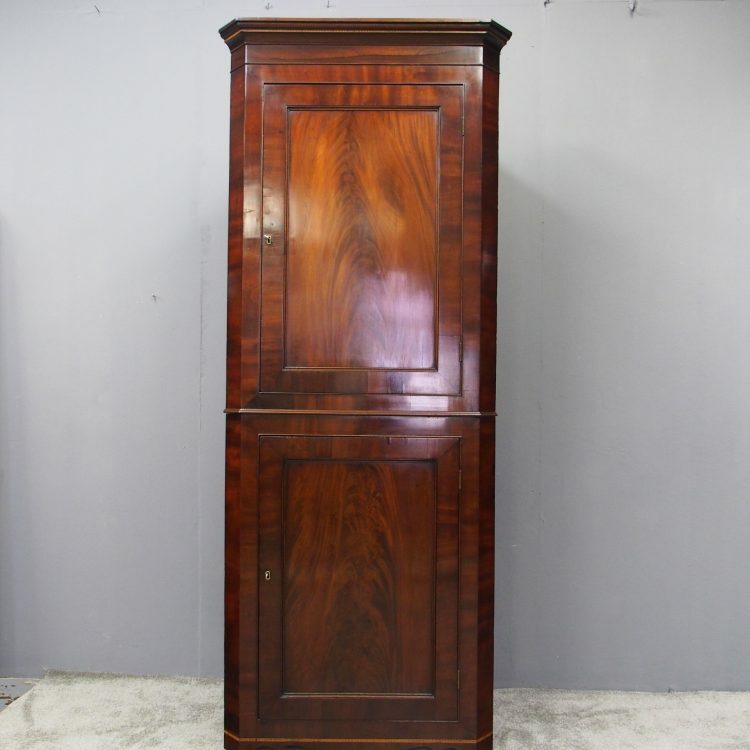 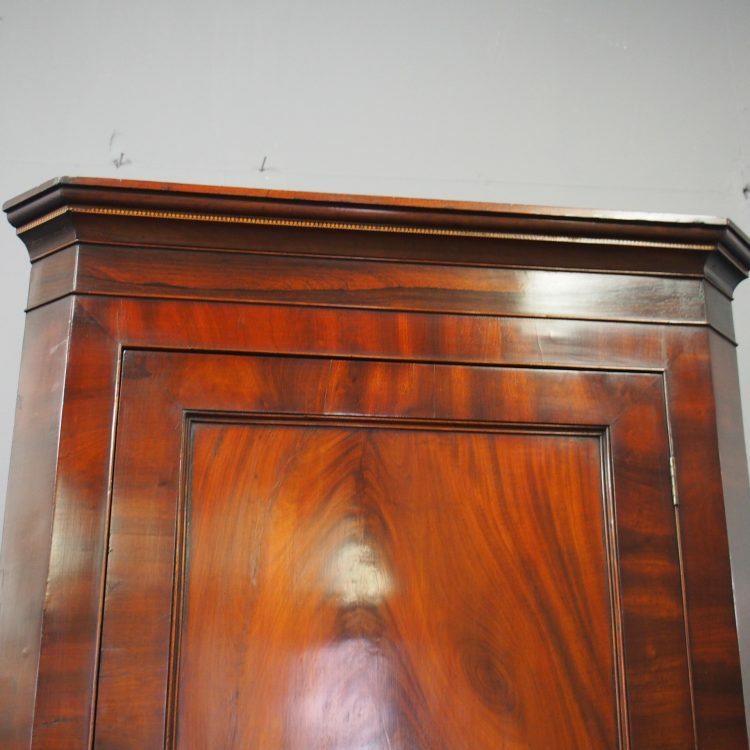 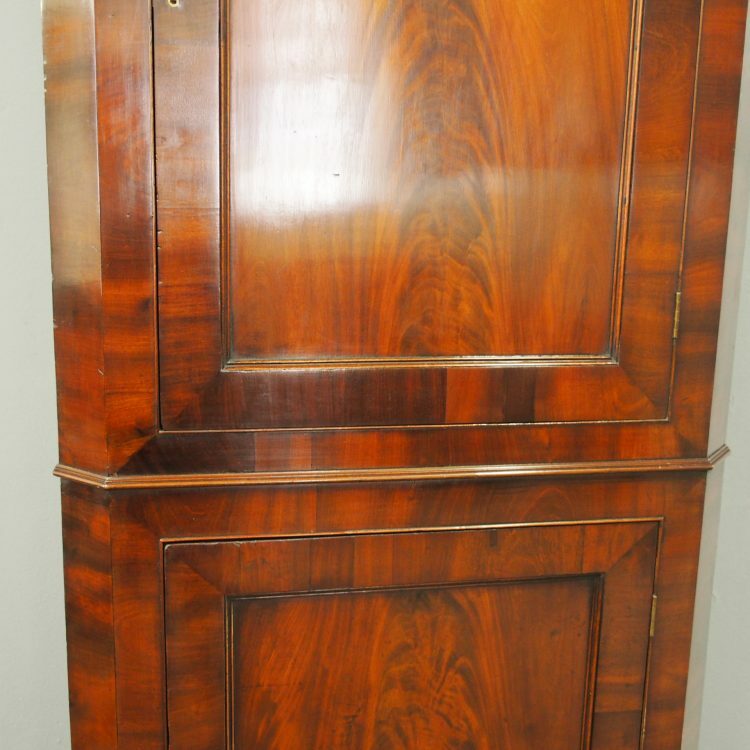 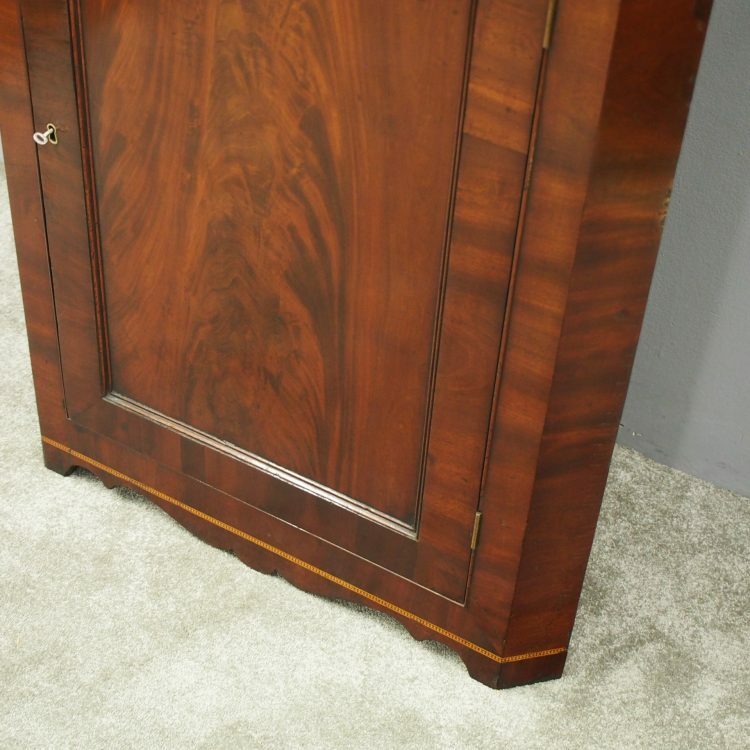 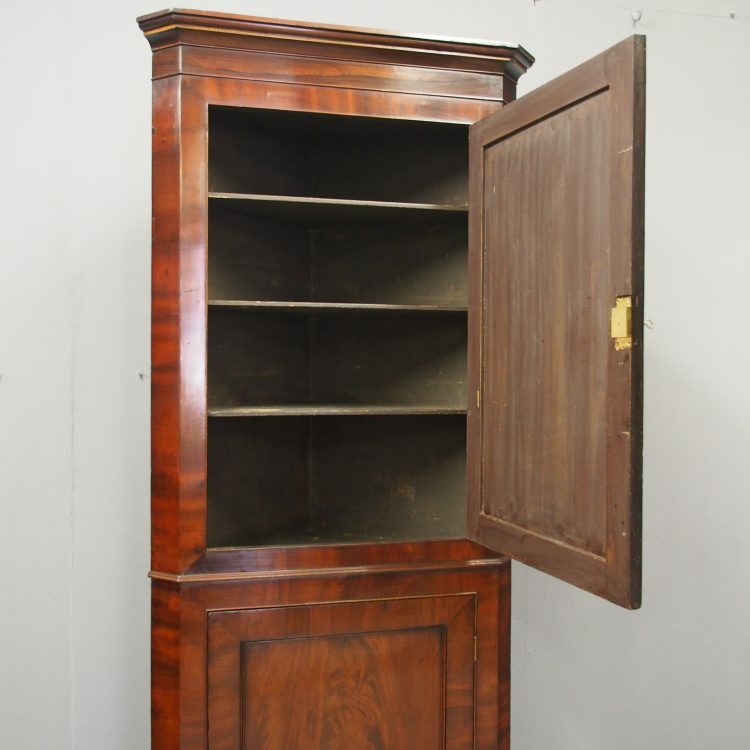 Circa 1830, William IV mahogany double corner cupboard. 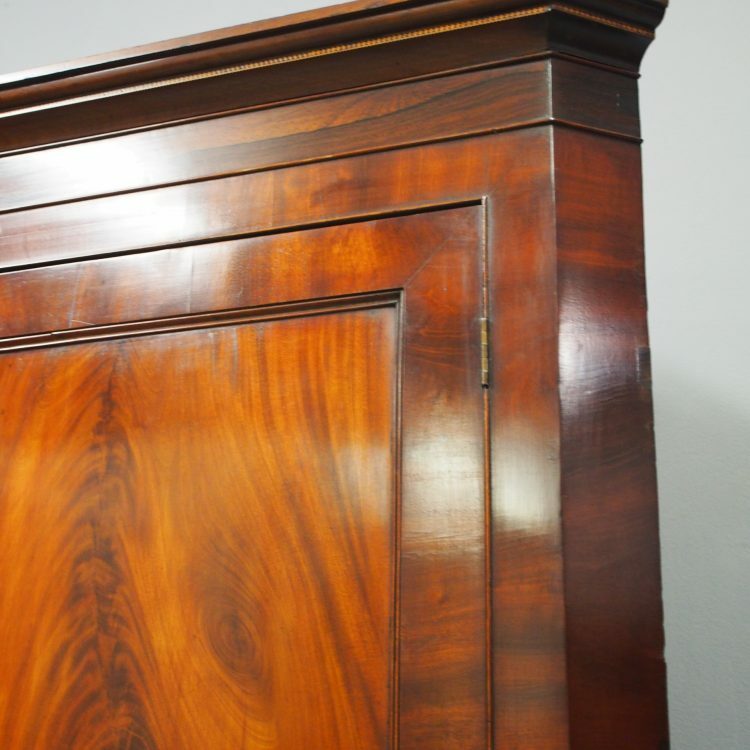 With chequered inlay above panelled doors featuring matching flame mahogany veneers and its original escutcheons. 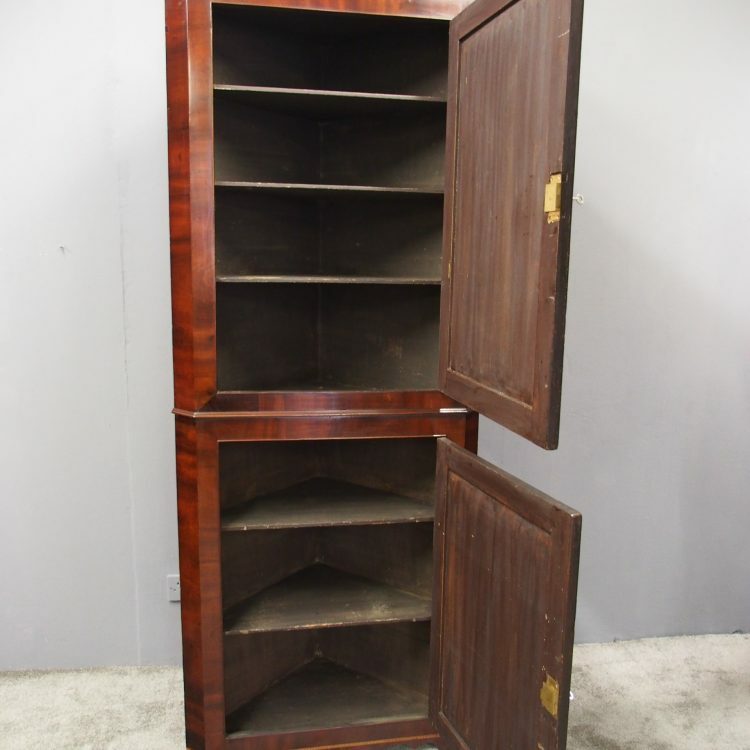 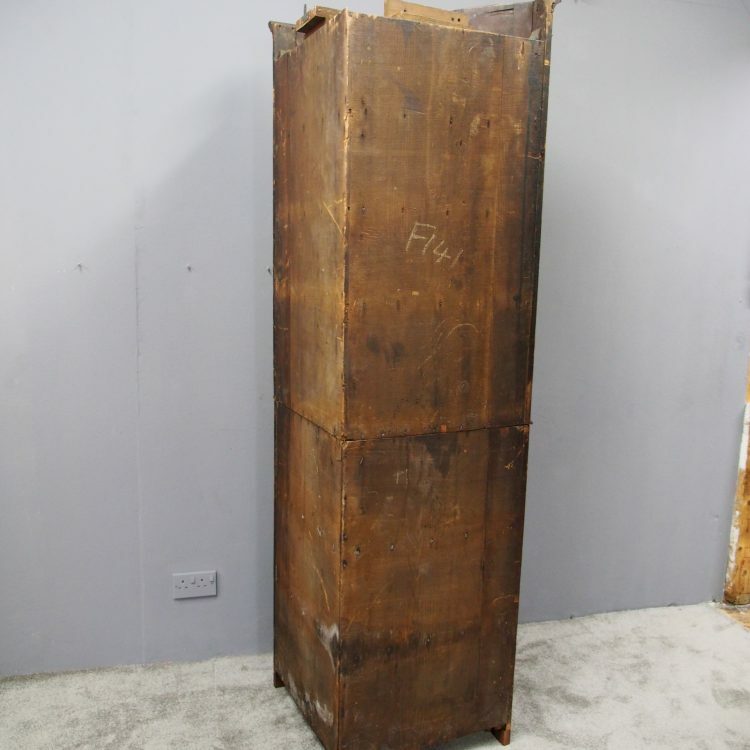 Inside are 3 shelves, with 2 shelves to the base. 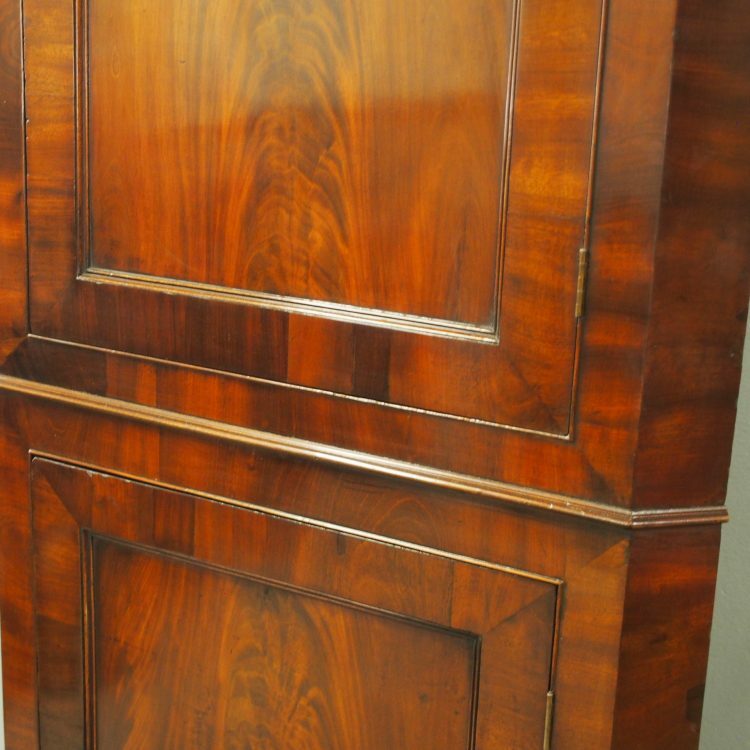 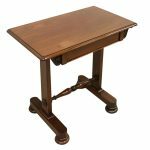 It has a shaped apron with large banding of chequered inlay leading on to squat bracket style feet.